White Diamond Quick Detail was designed for paintwork, any metals, plastics, leather and a glass cleaner. Perfect for all metal work to return that shine without the regular need to re apply Metal Polish. 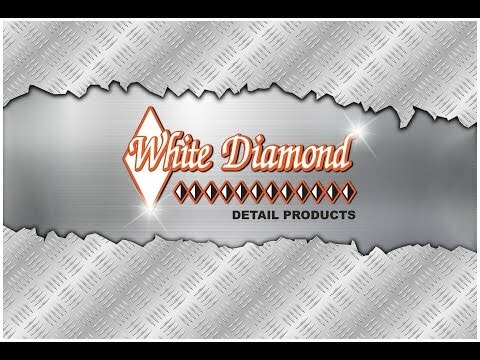 White Diamond Quick Detail was designed for use on painted surfaces, but true to the White Diamond family of products, it is Multi-Purpose and continues to prove its many other uses. It works very well with clear coats, plastic, glass (window and mirror), aluminum, chrome, stainless, vinyl, rubber trim, and even leather surfaces. This revolutionary product is non-silicone with a gentle hint of leather scent. 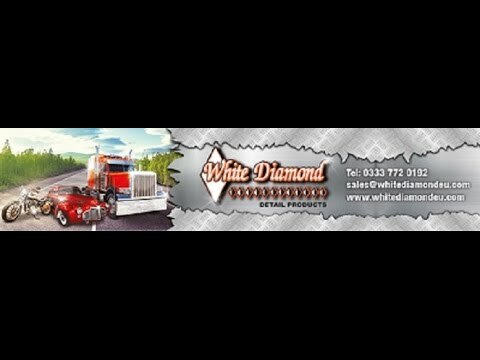 Use White Diamond Quick Detail as an “in between” cleaner knowing that you are not harming the environment because White Diamond Quick Detail is 100% biodegradable. Get one for the car and one for the house to keep your leather jackets, briefcases, luggage, shoes and leather or vinyl furniture clean and smelling like new. When used after White Diamond Black Pearl, White Diamond Quick Detail will keep the exterior of your vehicle looking great for longer than any other product on the market today. When using this product after White Diamond Metal Polish it will continue to make your aluminum and chrome rims glisten in the sunlight while repelling brake dust. INSTRUCTIONS: Spray White Diamond Quick Detail from the front to the back, top to the bottom of your motorcycle in between detailing. Our silicone-free formula allows you to use it on your motorcycle seat without leaving a slick residue. Spray it on your windscreen, motor, paint, wheels, rims, etc. to keep your bike turning heads. Category: White Diamond Quick Detailer.